The holidays are a busy time of the year! 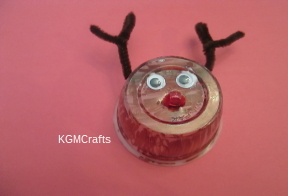 Christmas crafts for kids to the rescue! You will find quick and easy projects that will entertain your children. Some items can even be used as gifts. The tree is bare. The table and walls needs something Christmassy there. Hmm, what can we do? 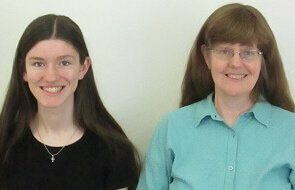 What is safe? What can the kids make that won't break or won't be expensive to replace? Maybe there are things they can create like Santa Claus and some tiny reindeer. Or how about a nativity set with a choir of singing angles. Yea, nothing is made out of glass. So let's get started. No time to lose. Lots of decorations for your tree, table or wall. An infinite circle of joy that is what we will make. 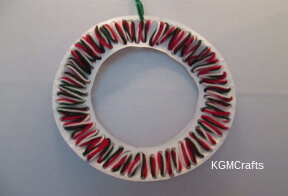 Some wreaths are easy enough for our young brother or sister to create. So gather some supplies and decorate the halls. Who was the most famous reindeer of all? These tiny reindeer will prance on your table or wall. One is a magnet that is a great gift for all. Hark! The Herald Angels Sing. 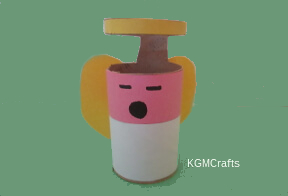 Well these won't sing but they are fun to make. But maybe Harold will. 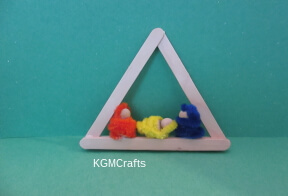 Some of the angel crafts will even go with the nativity set below. Jesus is the reason for the season. So there are several nativity scenes. Make one or make all. When we deck the halls don't forget the tree. This year the kids can decorate maybe even without me. 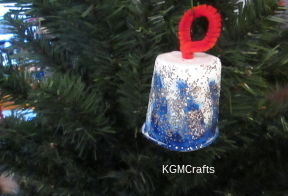 These ornaments are easy! He is red and white; a jolly old fellow. Let's make Santa for the tree and one for the wall. Christmas is a time to learn about giving. 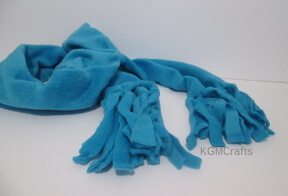 Your kids can make a handmade gift for the special people in there life. What? Your house is too small for a tree? 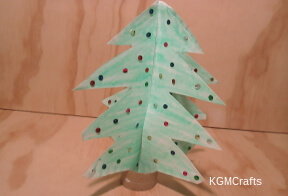 Then have the kids make their own Christmas tree! There is one that your teacher would like to own. Related: Do you have preschoolers in the house? 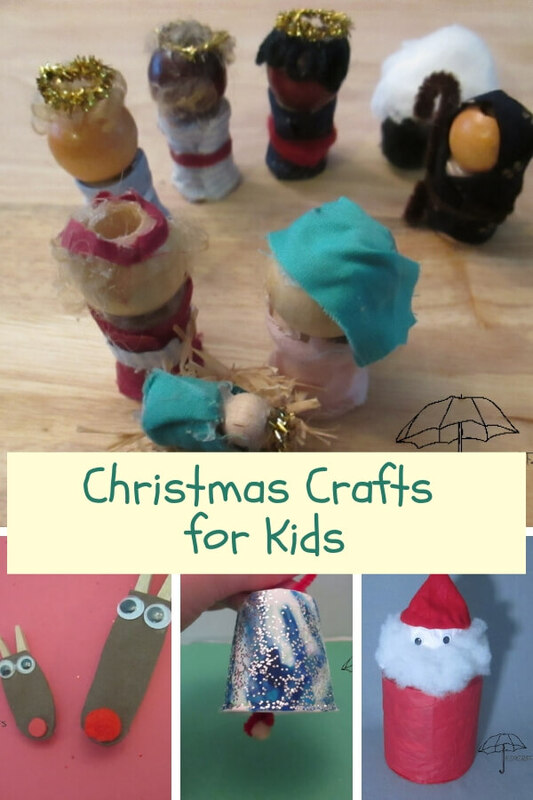 Here are more easy Christmas crafts for kids. Even more pages you might like! Related: snowmen, snowflakes, and penguins go to Winter Crafts. Some of the countries in Europe select a log (called a Yule log) to be burned on the hearth for Christmas. Another type of Yule log is a rolled chocolate cake. Ever wonder why we use green, red, white, or gold to decorate during the winter holiday? Here are some interesting facts. The color green is used during Christmas time to remind us of spring. Gold and red are warm bright colors. Also in medieval times blue was a very expensive dye. In art, Mary the mother of Jesus is usually seen dressed in a blue robe. White is for purity. The candy cane became a popular treat for Christmas. A lot of people would hang them on their Christmas trees. They are also used to tell the story of Jesus. The first ones were not even canes at all. They were white sticks. Later the candy makers bent the sticks into a cane. Soon they also started to add the color red. They made three small red stripes and one larger stripe. The colors of the candy cane told the story of Jesus. The white represented Jesus’ purity. The red is for the blood that He shed on the cross. The shape can be the letter “J” for Jesus or a shepherd’s staff. According to the Bible shepherds visited the baby Jesus. So, get some supplies in red, green, and gold. 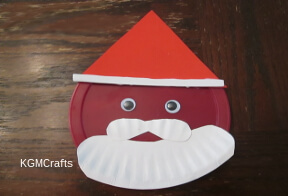 Then we can quickly create Christmas crafts for kids. Then our house and tree will no longer be bare. The gifts are all wrapped. Everyone will be surprised at the fun we had.